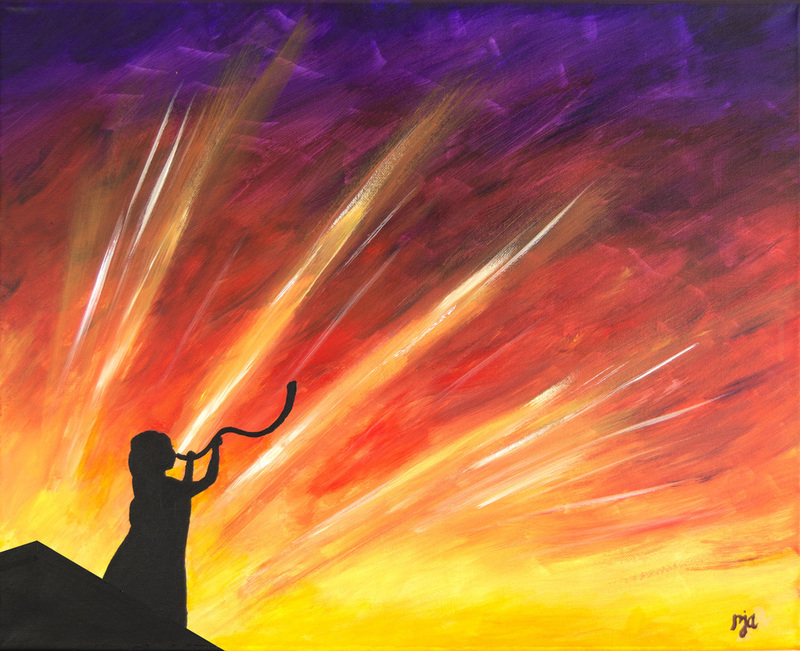 I had this image in my spirit of a Watchman on the wall blowing a shofar, and thought this was what I was going to paint during worship. However, as I tried to paint the figure as a man, a female form clearly began to appear. As much as I tried, I could not get my brush to paint a male figure. I soon began to realize God had other ideas, and decided to agree with what He was doing. In the end, what emerged on the canvas was a mighty woman of God, a mighty praise warrior, releasing the sound of Judah praise before the Lord. All material on this site is copyrighted and may not be used without written permission from the artist.